Designed as a safe method of transporting injured personnel with an attendant, from any structure or excavation. Especially useful in any situation where the only alternative is for a stretcher to be man-handled up or down ladders or stairs. 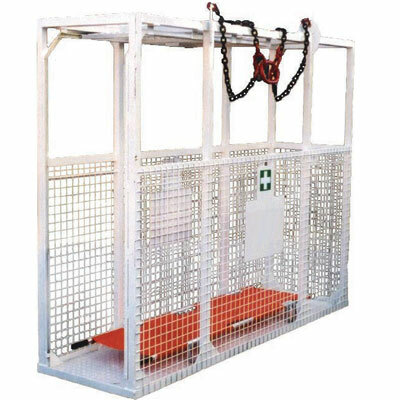 All cages come complete with a four lifting points.